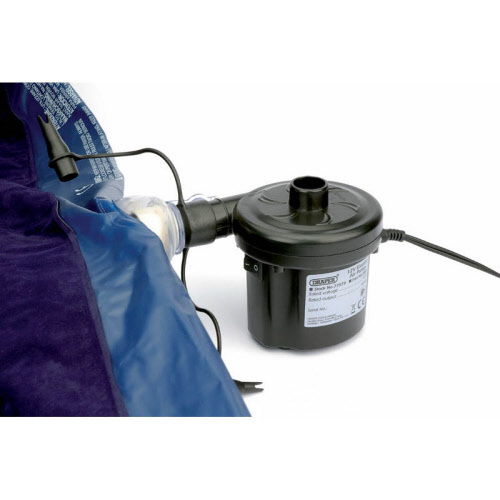 Draper Tools 12V Electric Air Pump 77579 Ideal for inflating/deflating air beds, lilos, boats and inflatable toys. 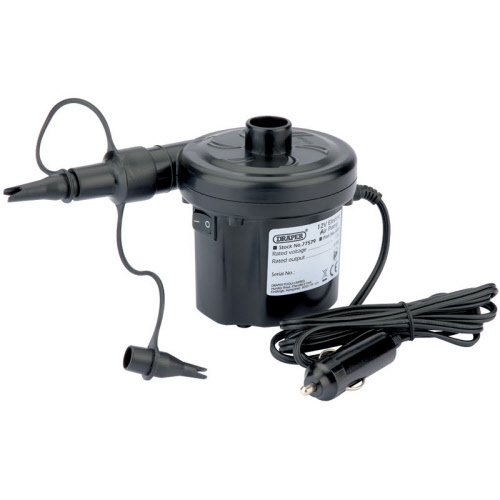 Supplied with three adaptor nozzles for different size valves and 1.6M of cable and 12v car cigarette-type plug. Display packed.